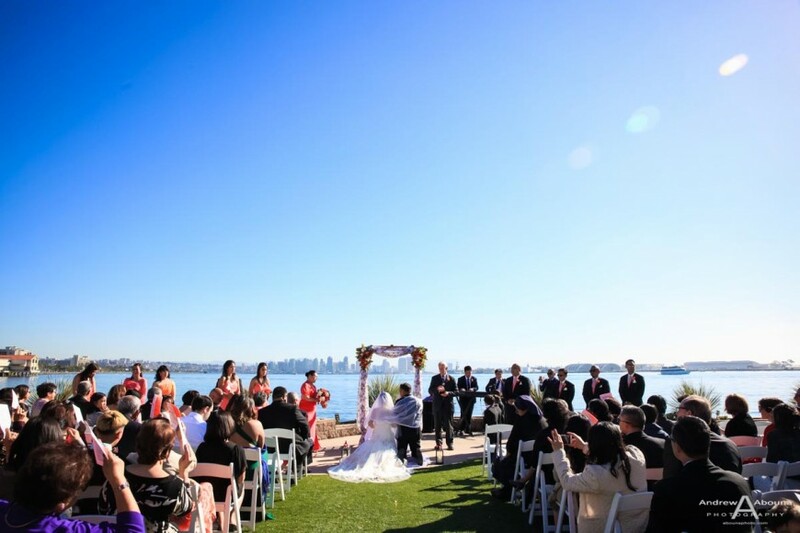 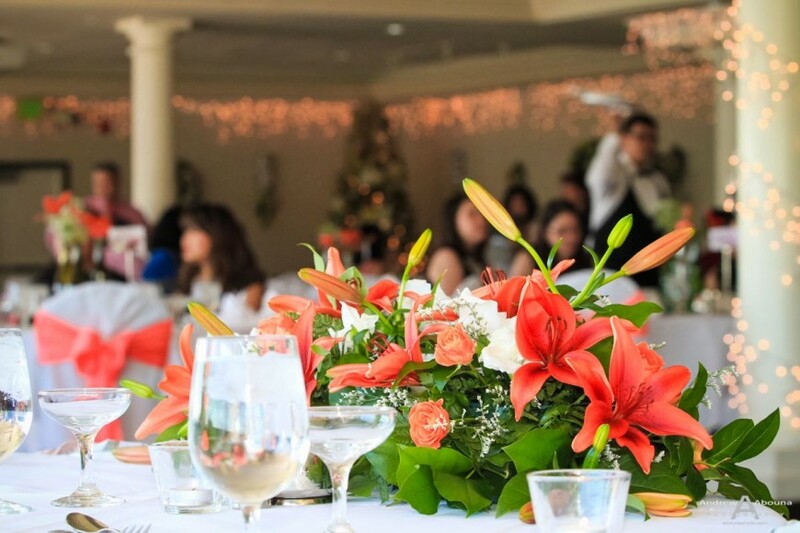 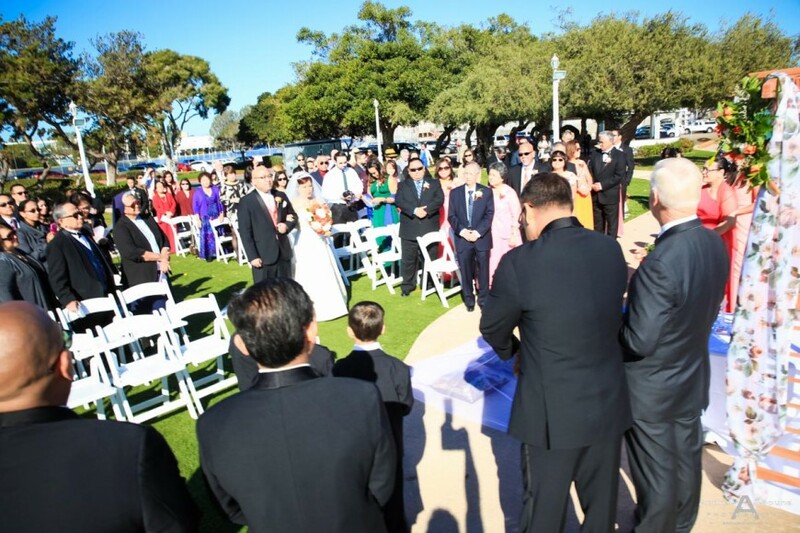 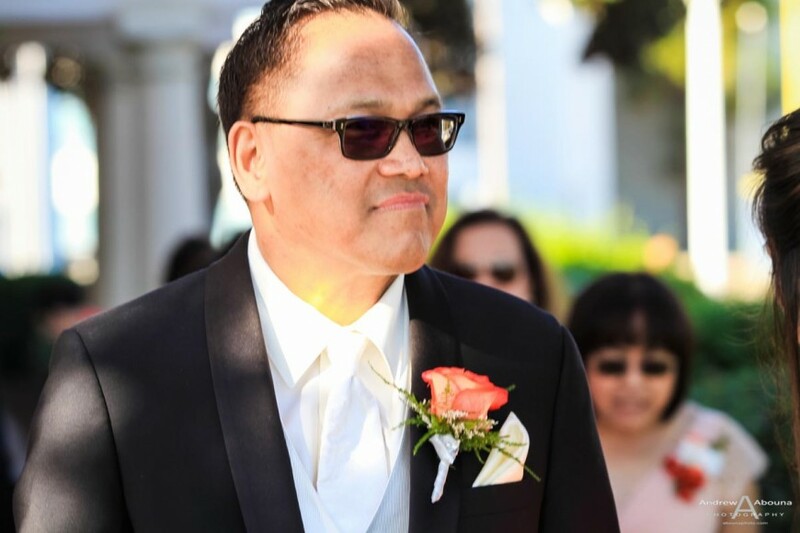 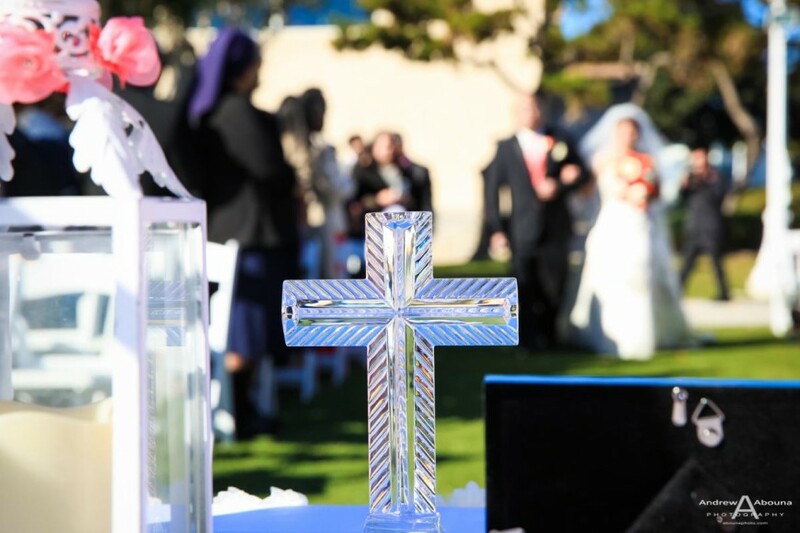 Weddings in San Diego, California are always blessed with fantastic views in wonderful locations, and virtually the best weather, too. 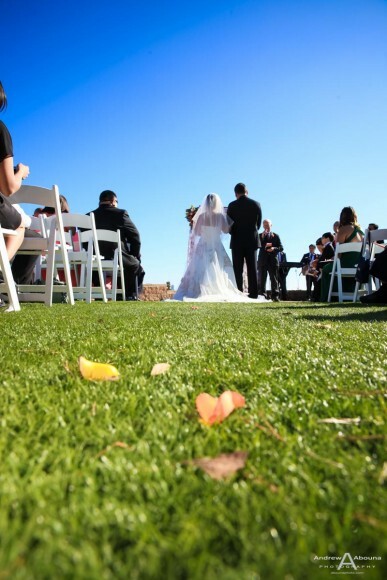 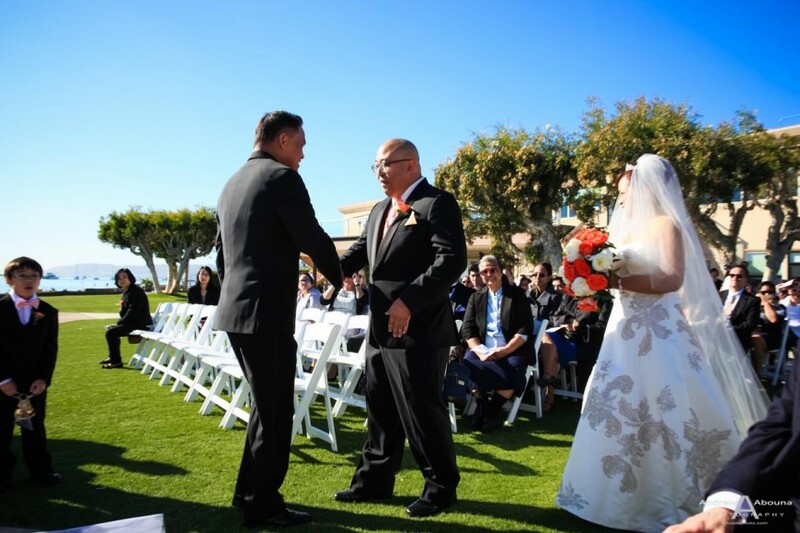 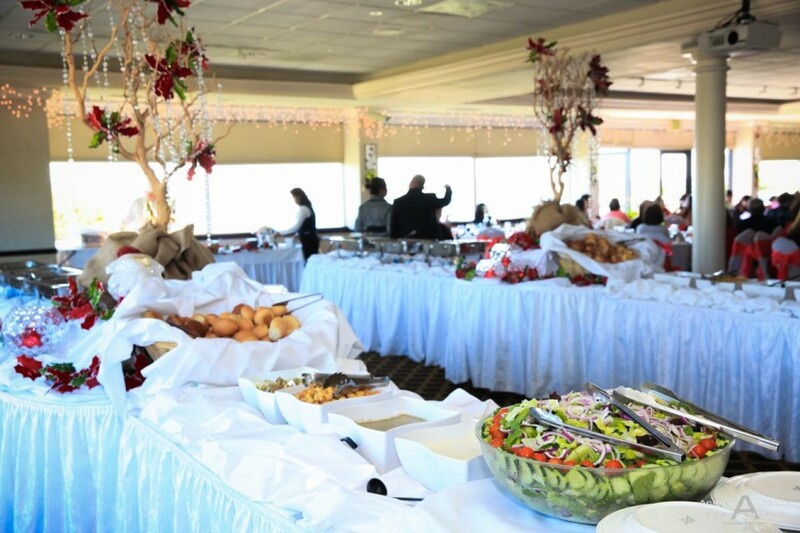 Another thing that makes San Diego so wonderful for weddings are the nearby bays and ocean, and that’s something that Nora and Sam had in mind when they selected Admiral Kidd for their wedding venue. 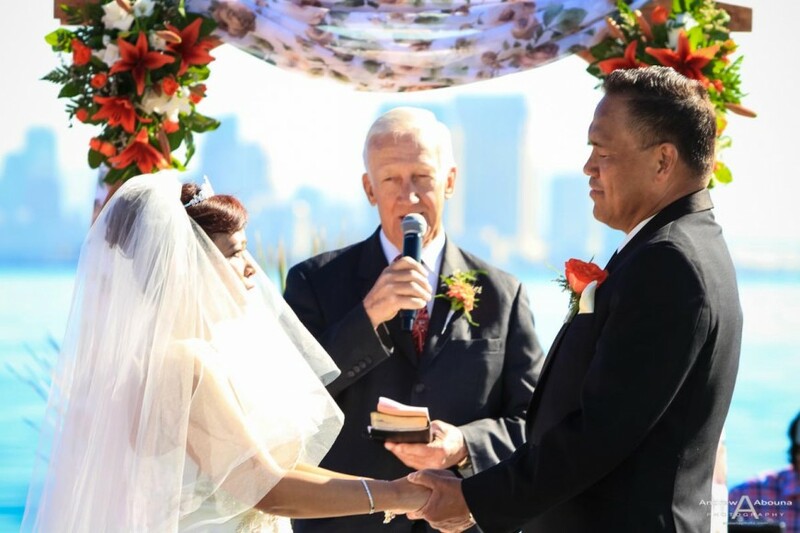 With a fantastic view of the downtown skyline in the distance, the couple’s San Diego Bay wedding photography at Admiral Kidd really made for the perfect backdrop to Nora and Sam’s wedding. 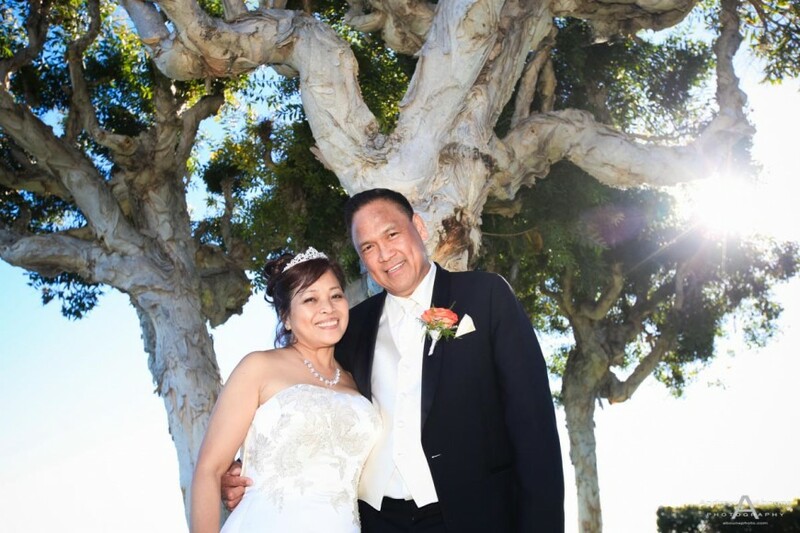 Like the couple’s engagement session that I’d photographed at Balboa Park with them a month earlier, Nora and Sam’s wedding photography also really captured the love between the couple. 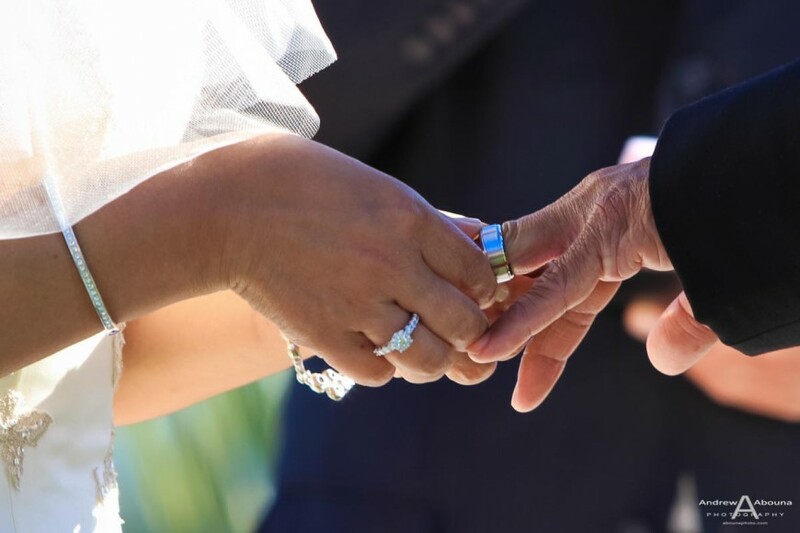 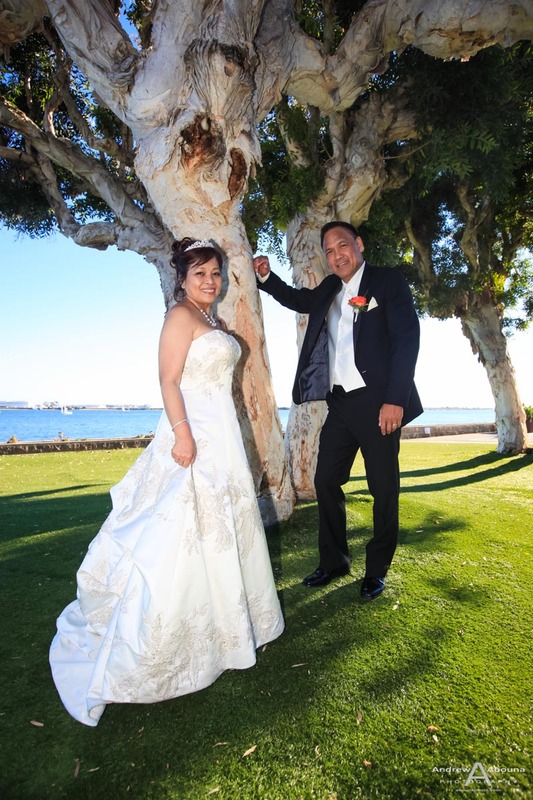 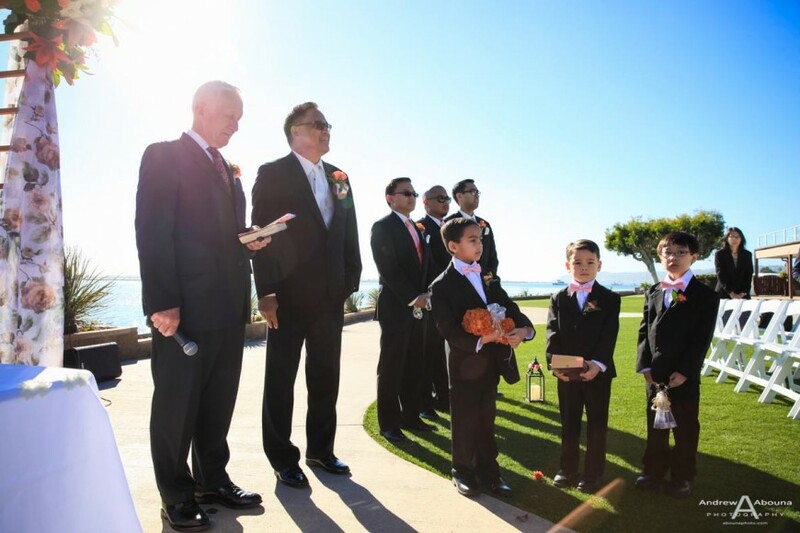 The San Diego Bay wedding photography which I created with the couple of their wedding day is full of so many wonderful photos, like the couple dozen pictures I’ve selected for this article. 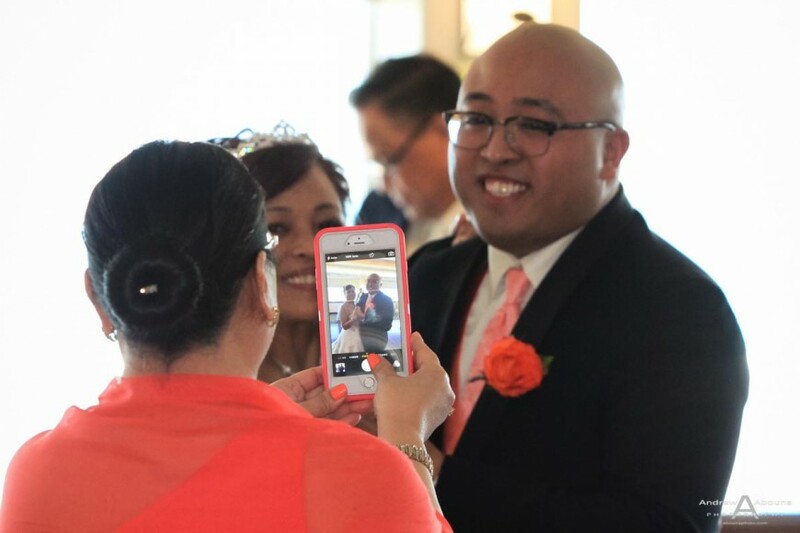 But it wasn’t too hard to capture the feelings between Nora and Sam, because they are such a genuine couple, and I’m glad the wedding photography shows these feelings in their photos. 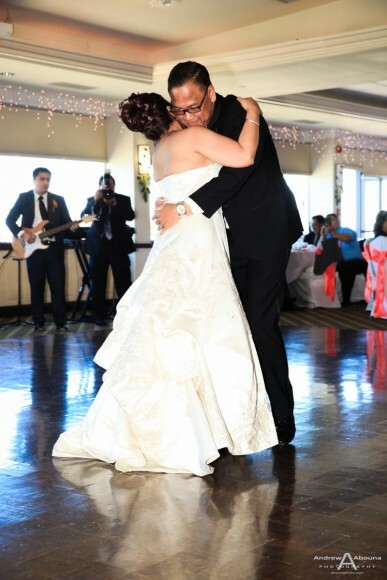 Like I say on my main wedding page, capturing photos that show the love between couples is important to me. 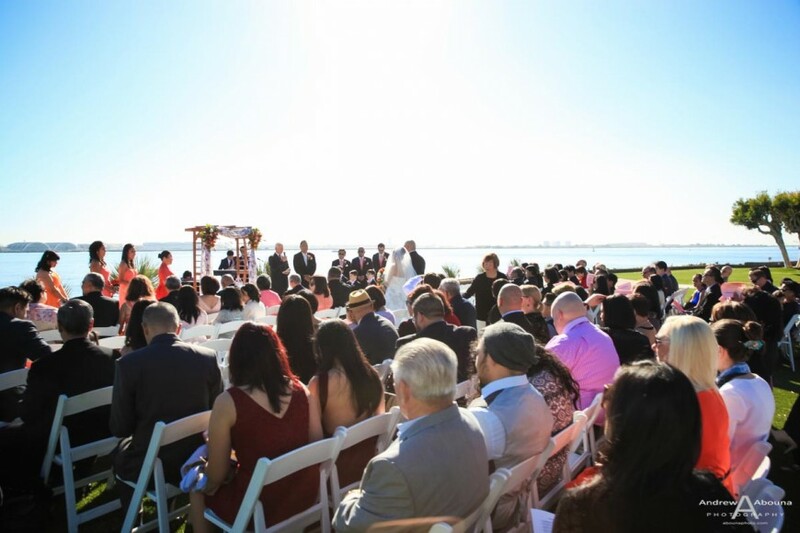 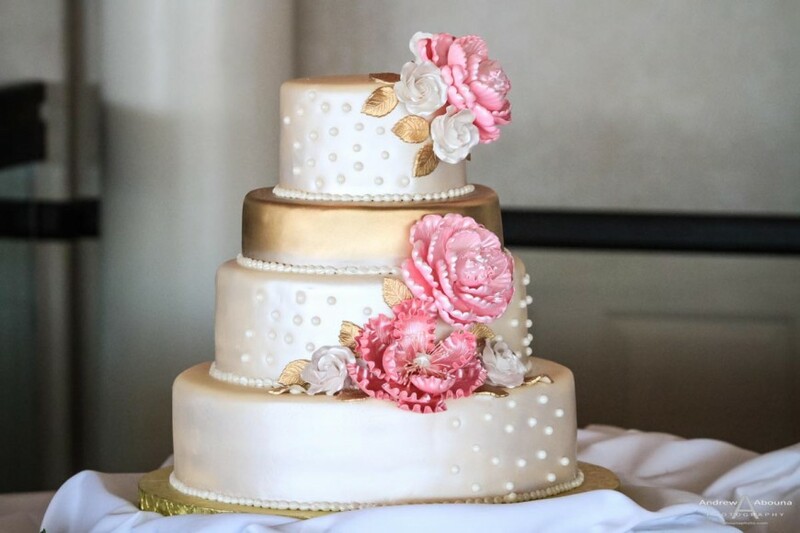 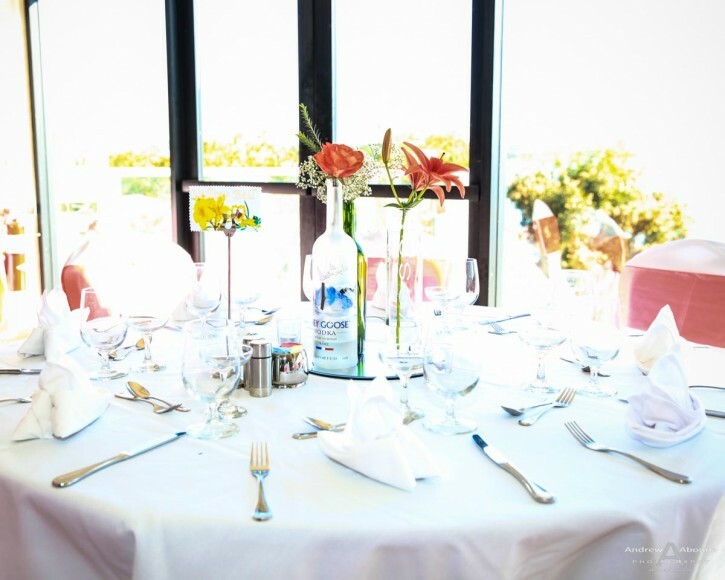 Admiral Kidd is one of my favorite venues, and not just for the views that my San Diego Bay wedding photography will capture, but also because of the wonderful the venue offers. 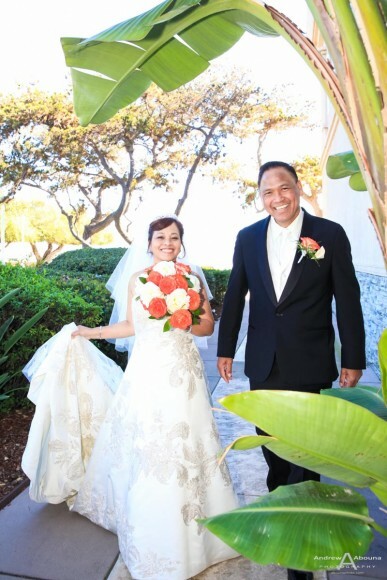 There are bay-side, adjacent bungalows, which was perfect to allow Nora a place to get ready before the wedding. 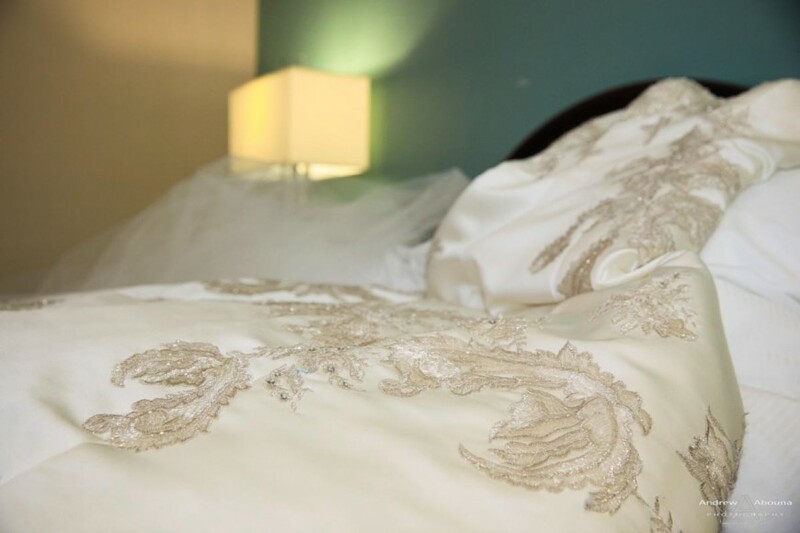 It was here where I met her for the start of their complete wedding day photography package. 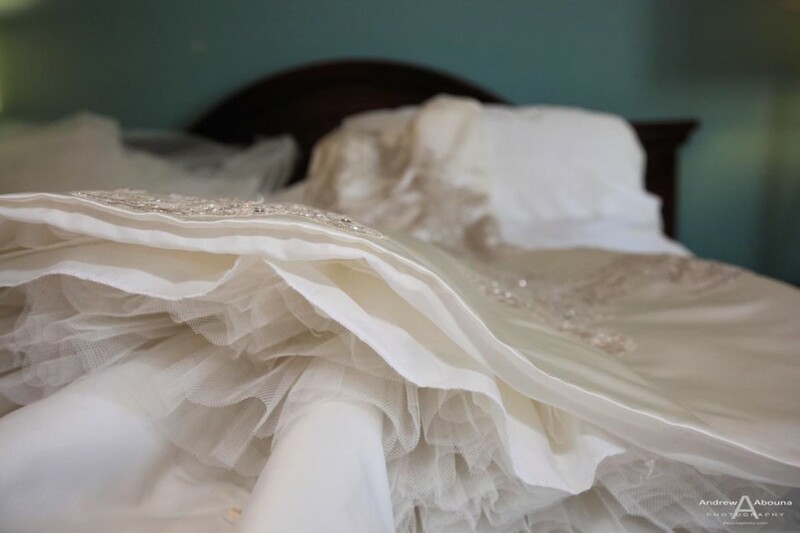 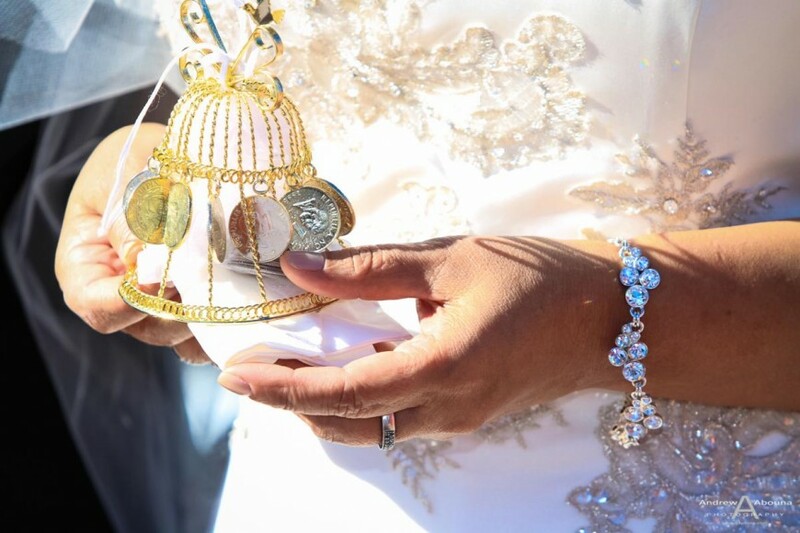 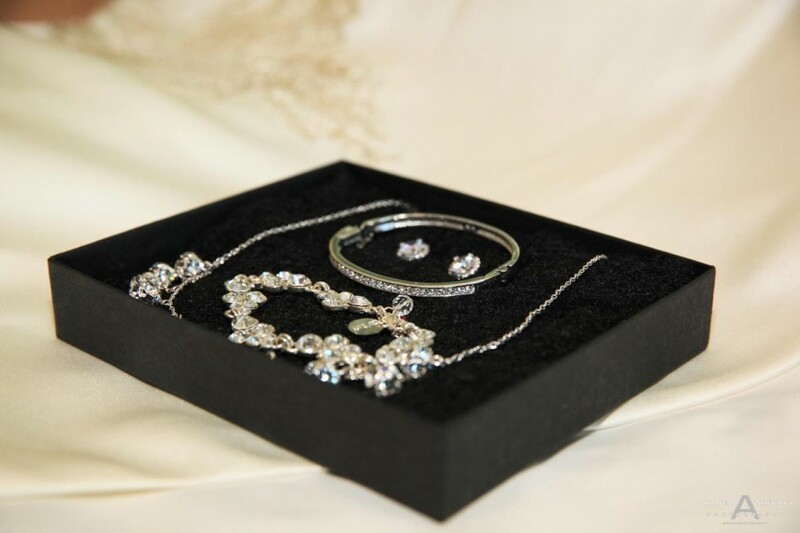 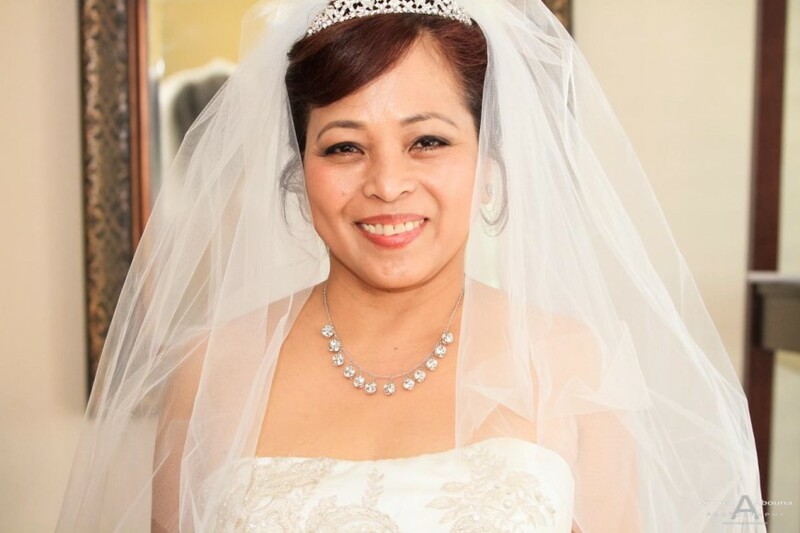 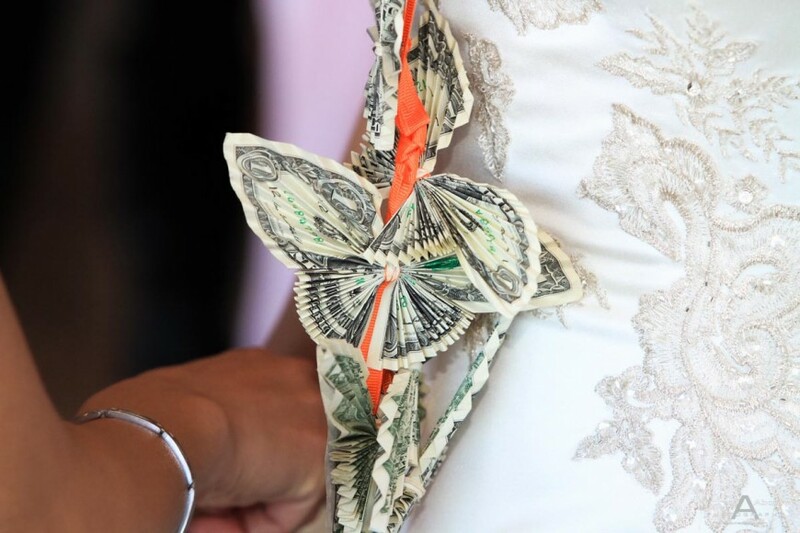 I first captured photos of the bride’s beautiful dress and some of her bridal accessories. 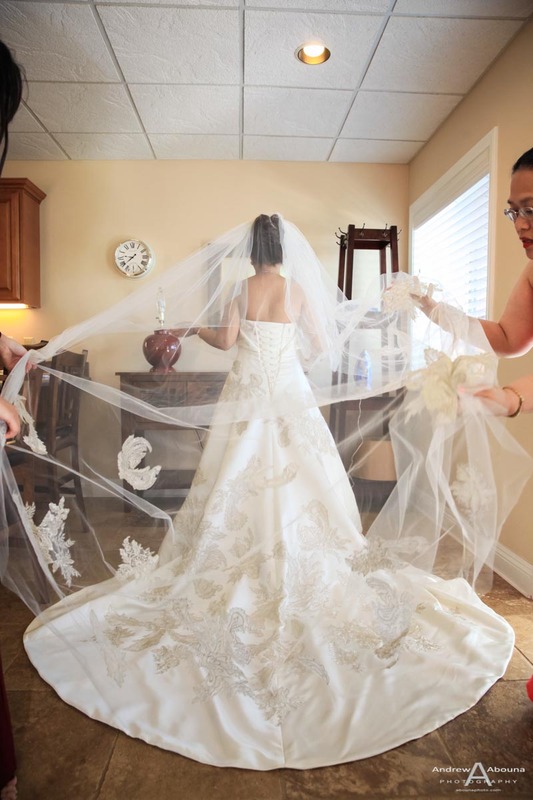 This pre-wedding, bridal photography also included photos of Nora having her dress fastened by her two assistants, and some portraits shot, too. 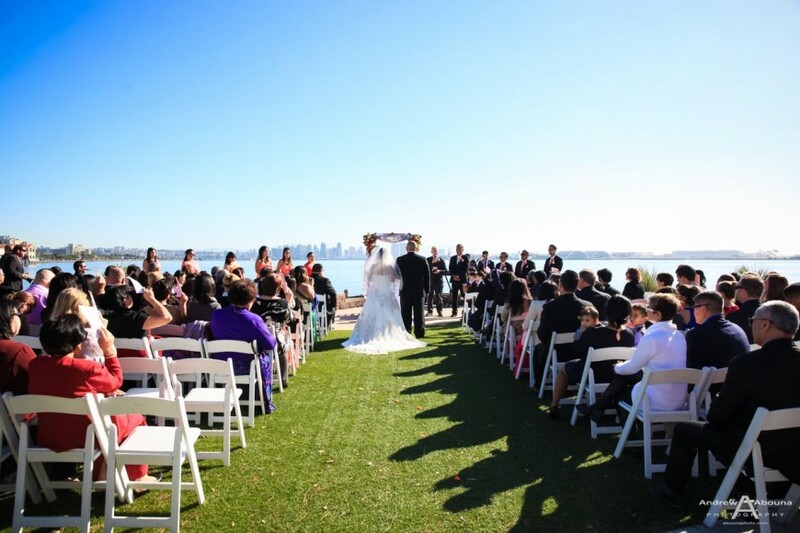 With it now time for the wedding ceremony to start, I walked the short distance to the grass and patio area where the San Diego Bay wedding photography would capture the couple’s ceremony. 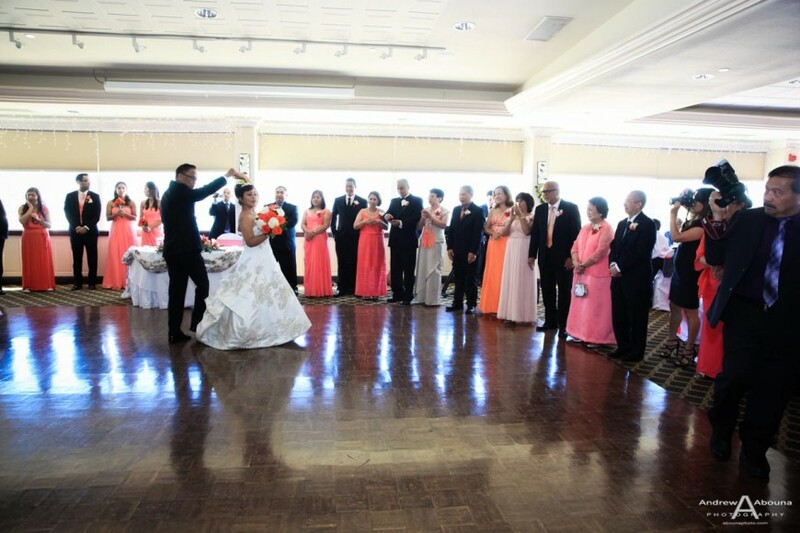 The photography captured the wedding guests, most of whom had now arrived, and of course lots of important photos of the groom, his daughters, and Nora’s son, plus many of the wedding sponsors, too. 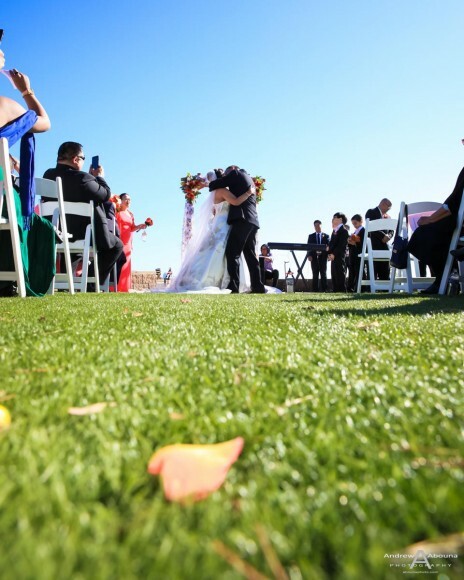 Because I always use two cameras and multiple lenses, I was able to create a nice variety collection of photos that varied not only in composition, but also in perspective. 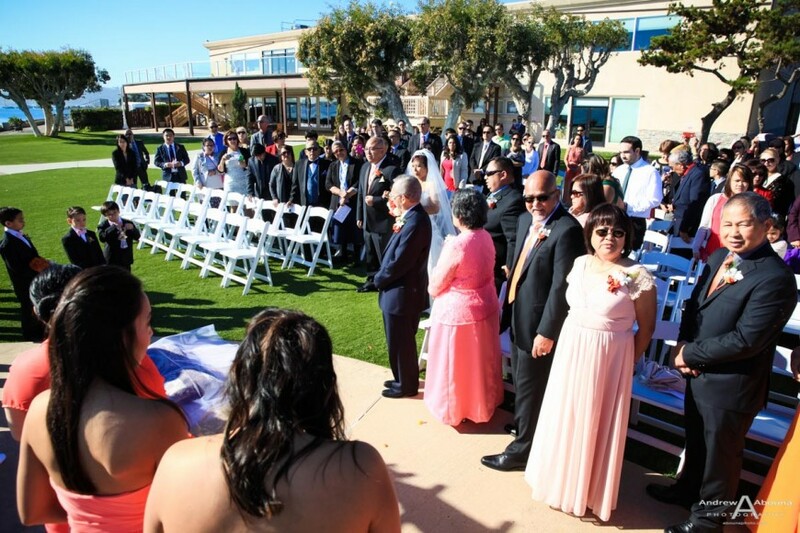 Moving around carefully but frequently during the ceremony also allowed me to photograph the wedding from many different vantage points. 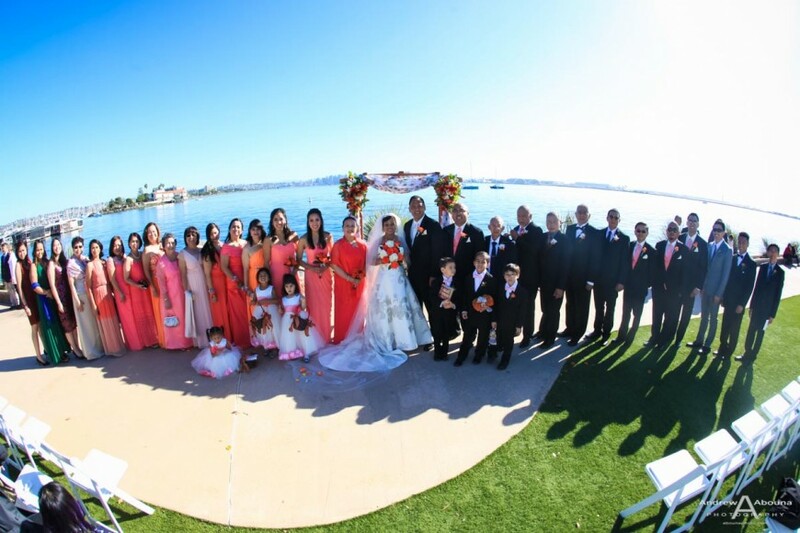 As a result, the couple’s San Diego Bay wedding photography is full of tight detailed shots, wide shots, normal perspectives, and photos viewed from both low and high camera positions, too. 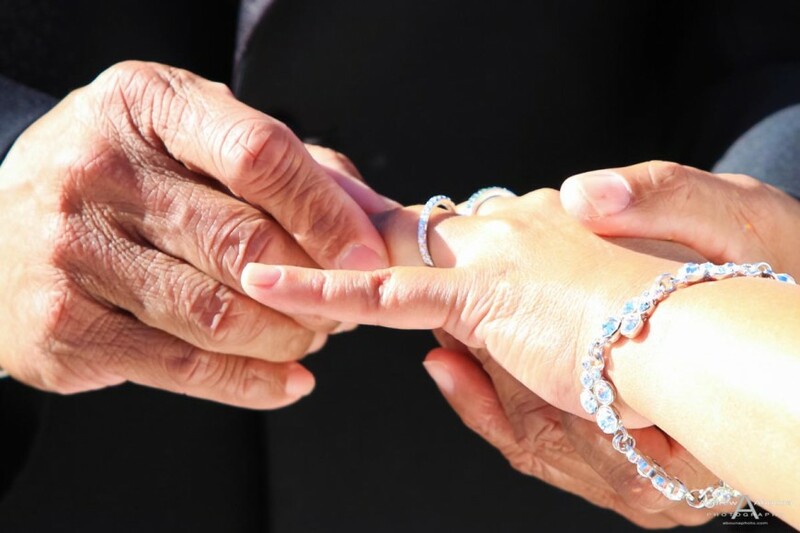 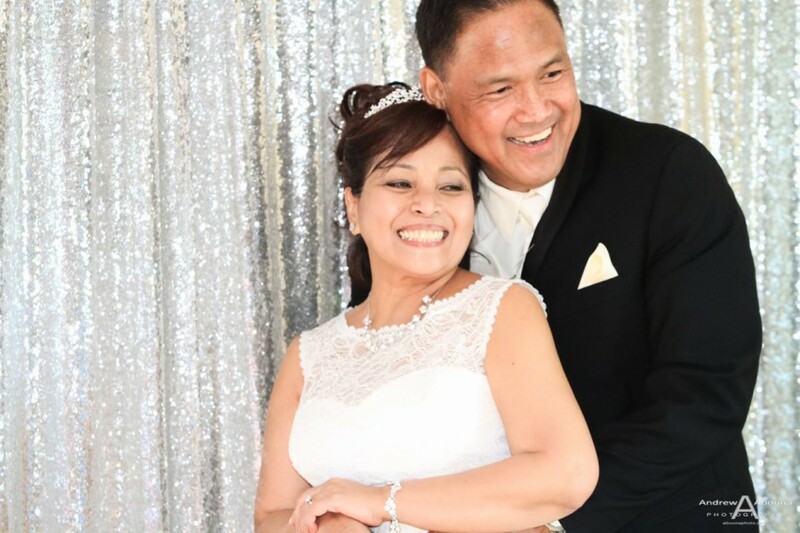 The accompanying video slideshow of the couple’s wedding gives a very nice overview of their wedding in a short two-minute video. 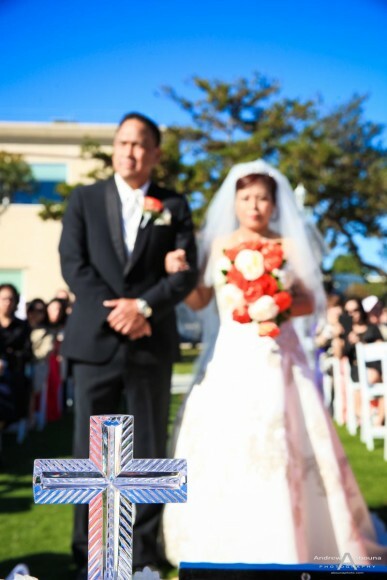 The couple’s wedding ceremony was a real pleasure to capture. 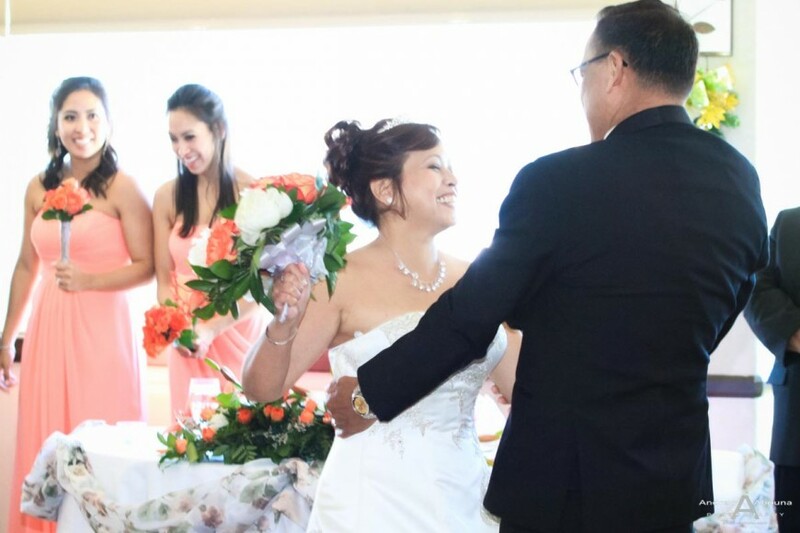 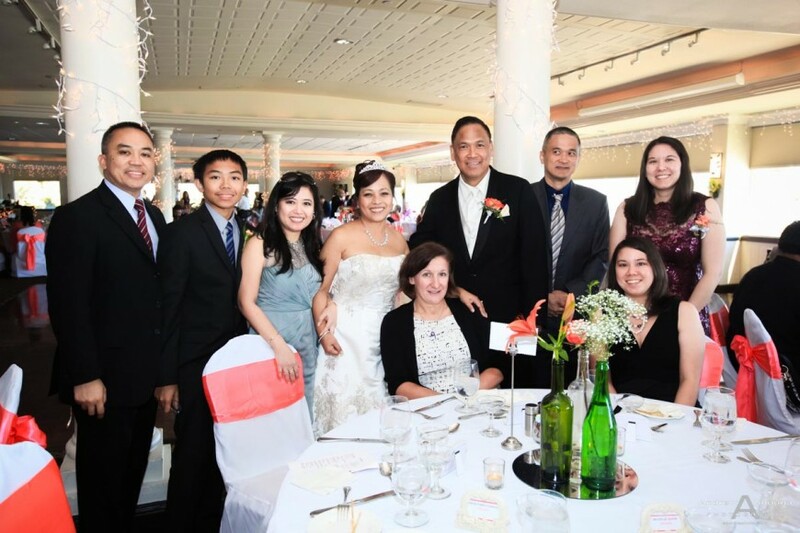 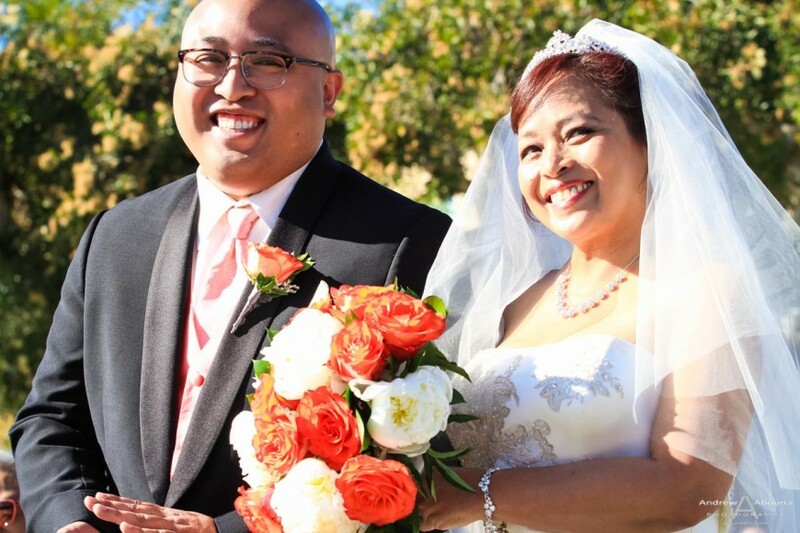 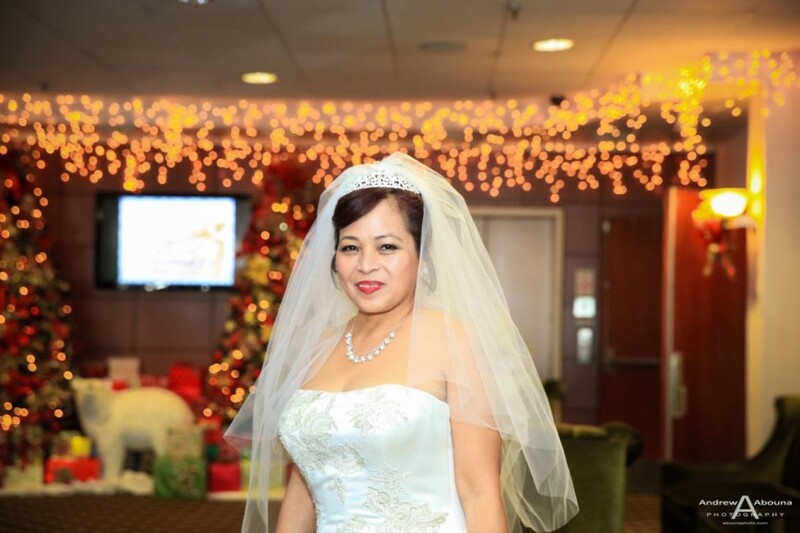 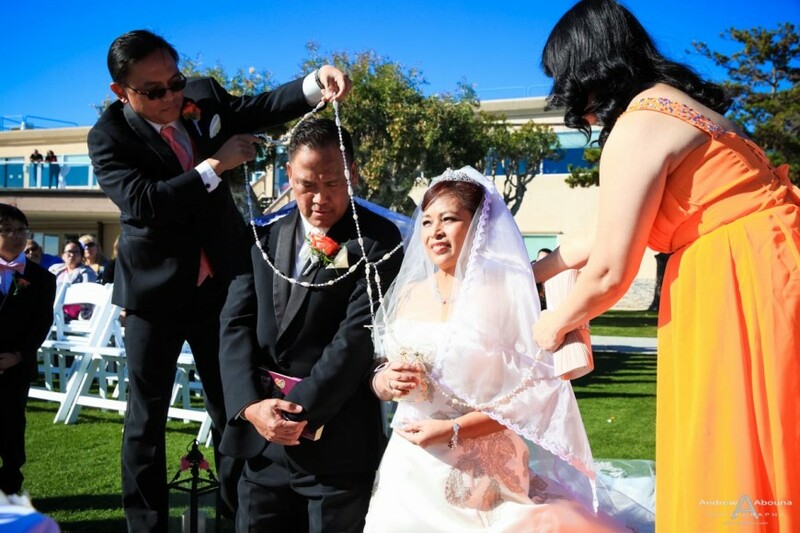 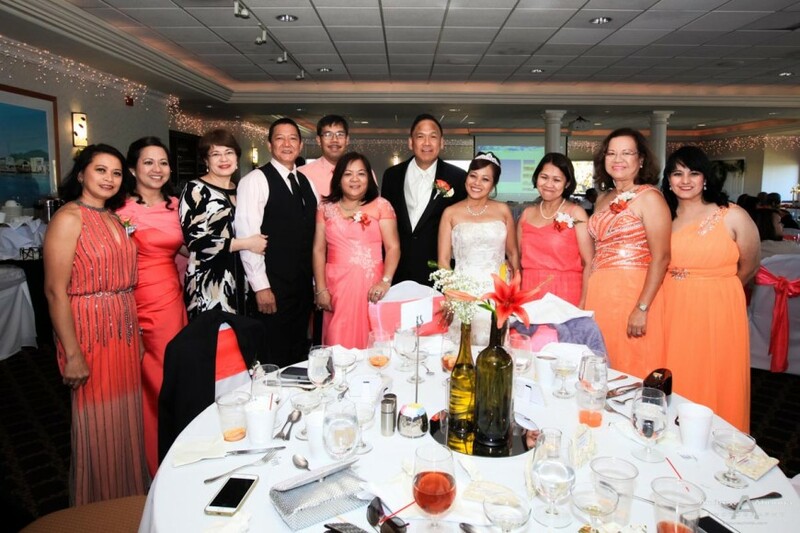 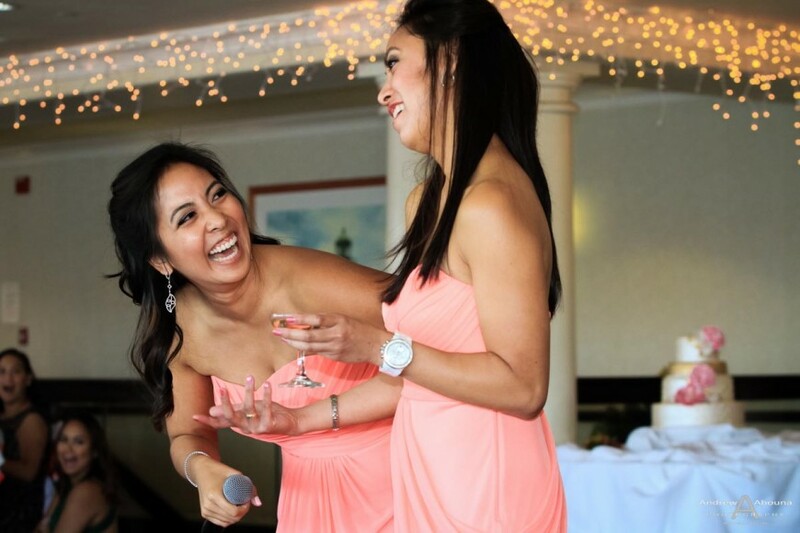 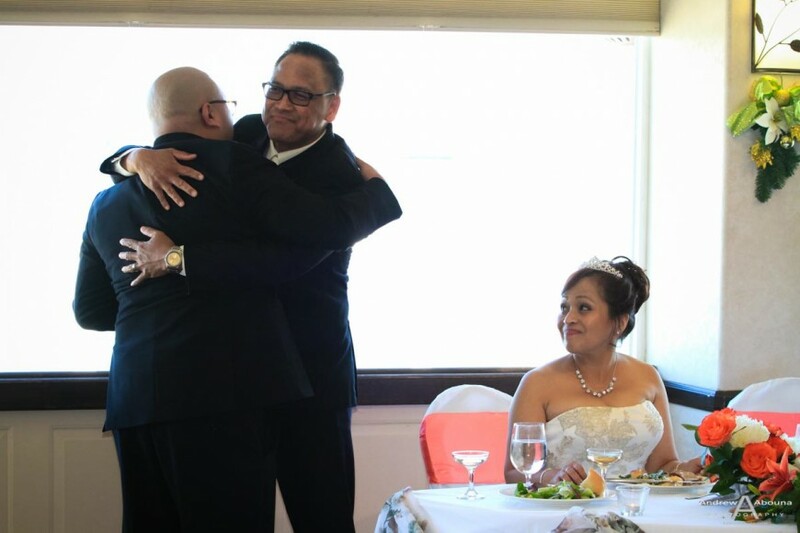 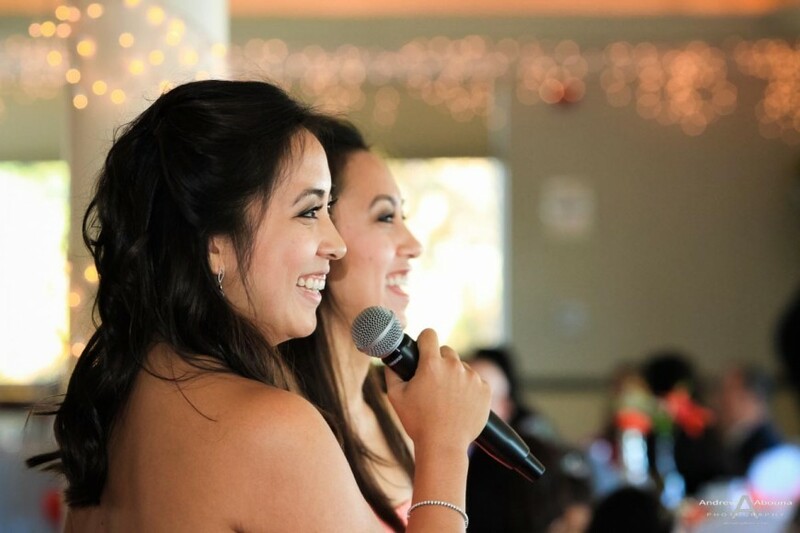 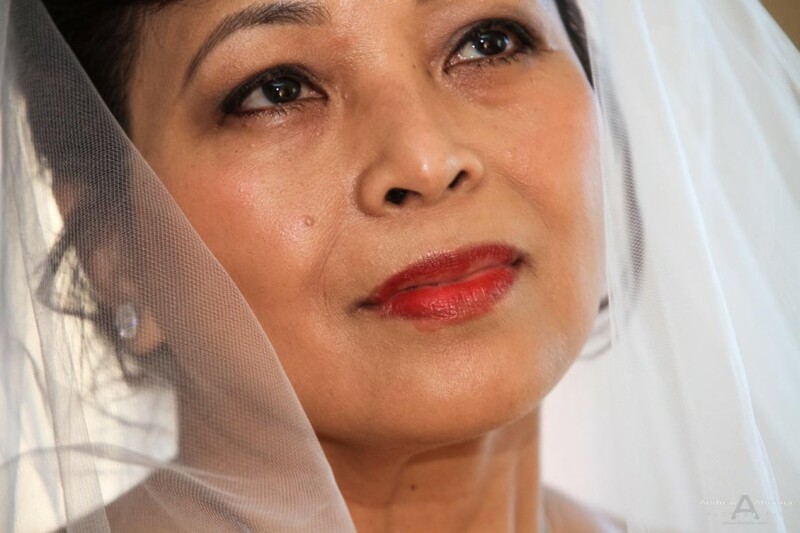 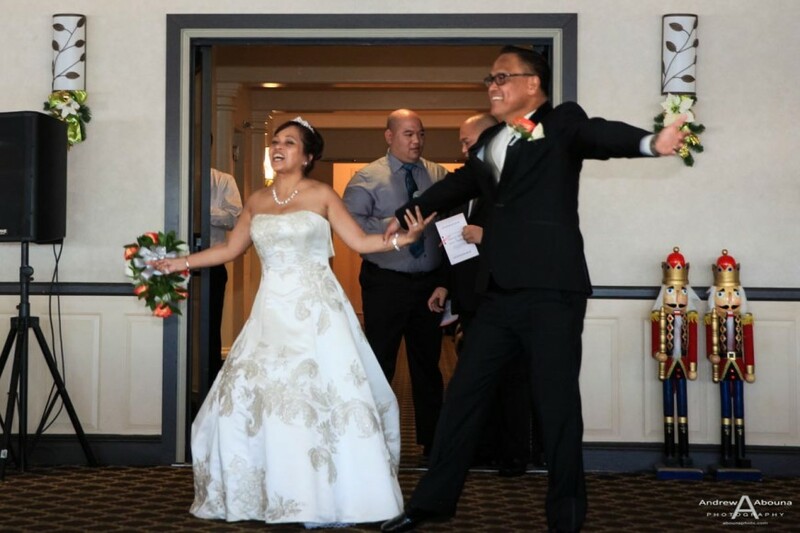 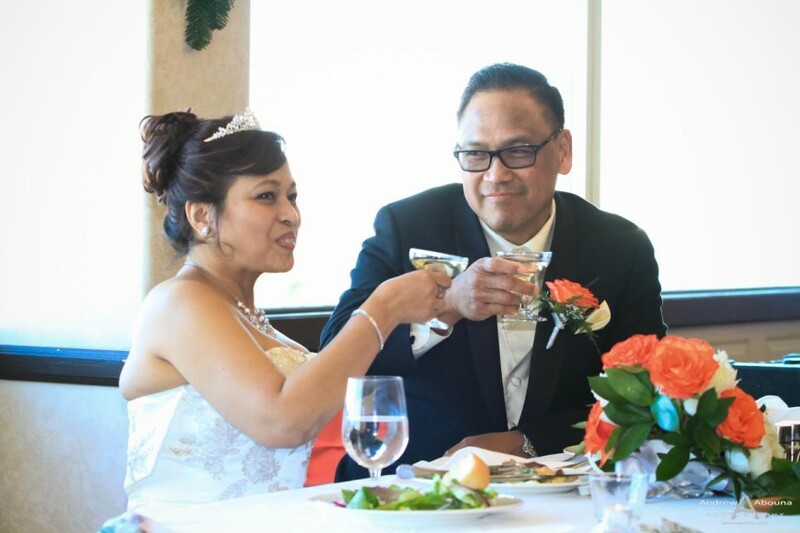 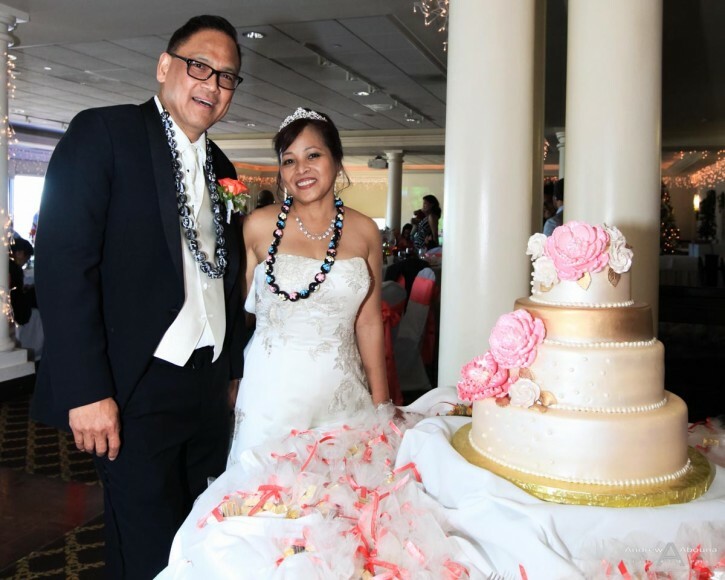 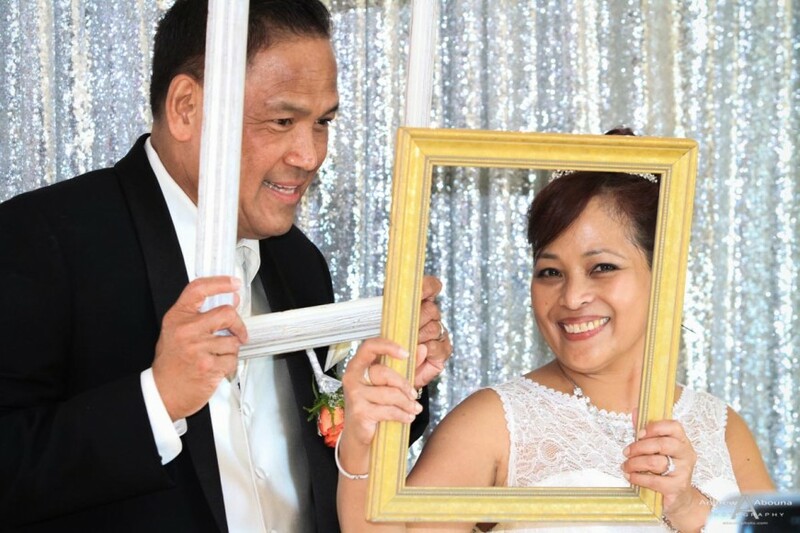 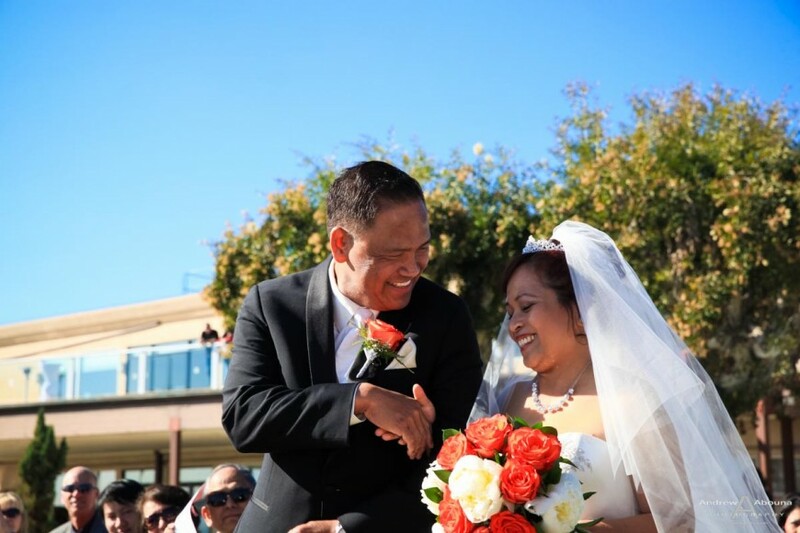 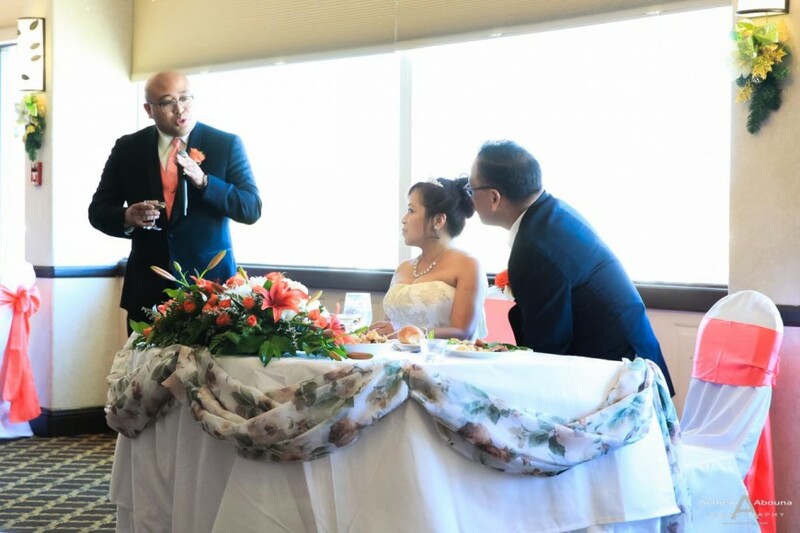 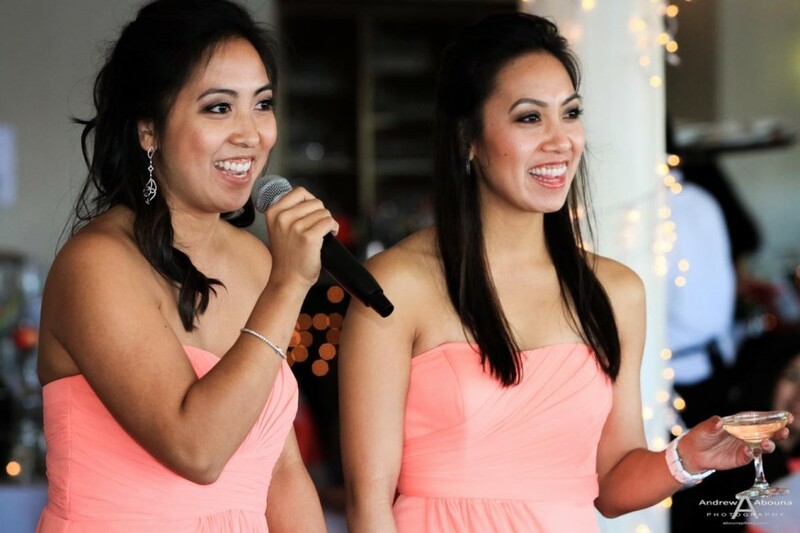 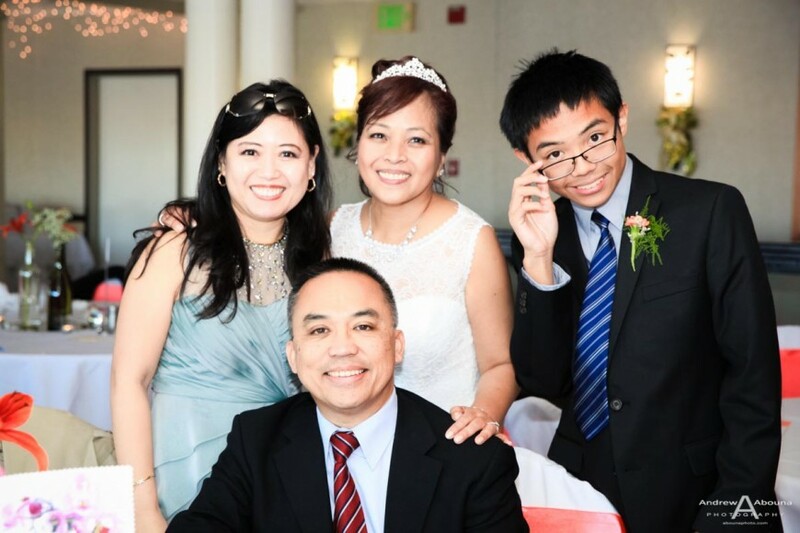 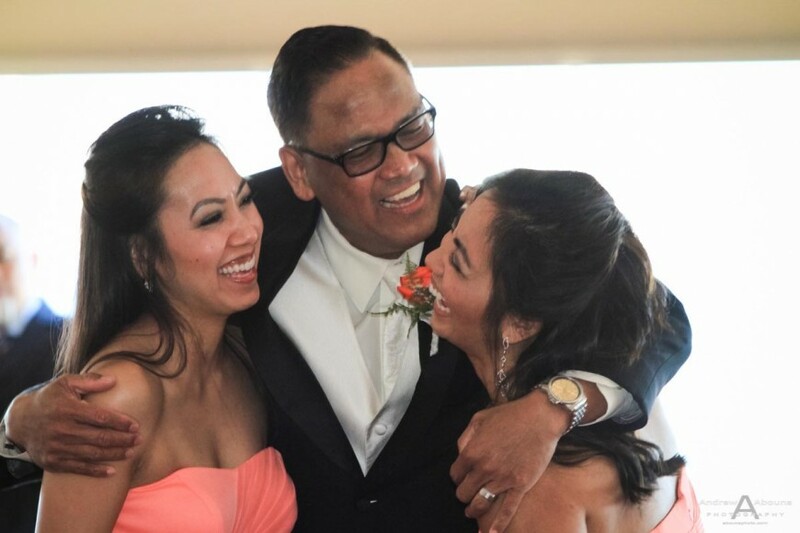 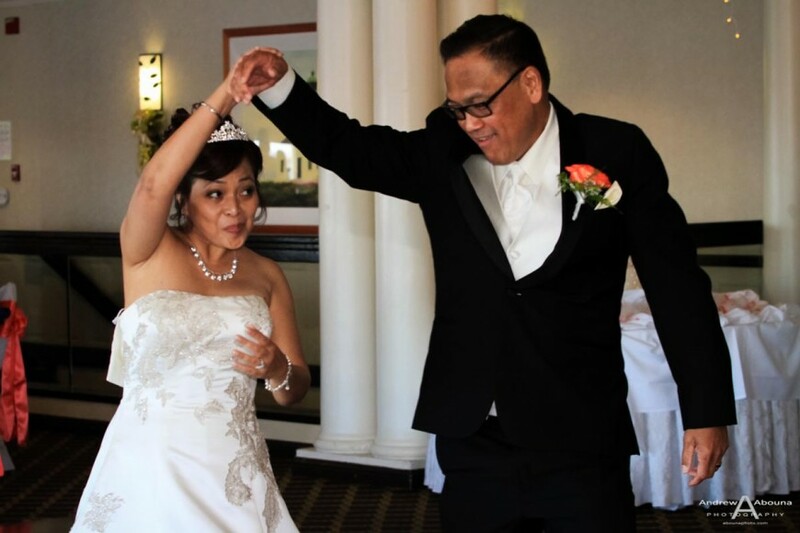 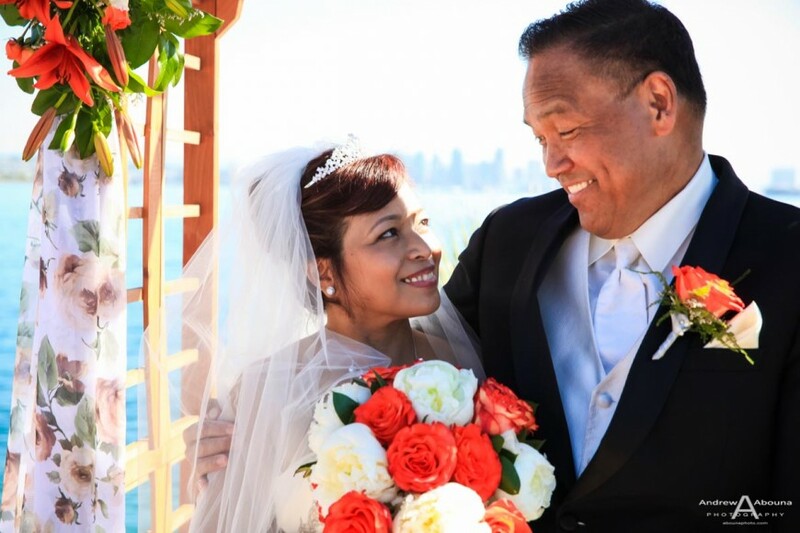 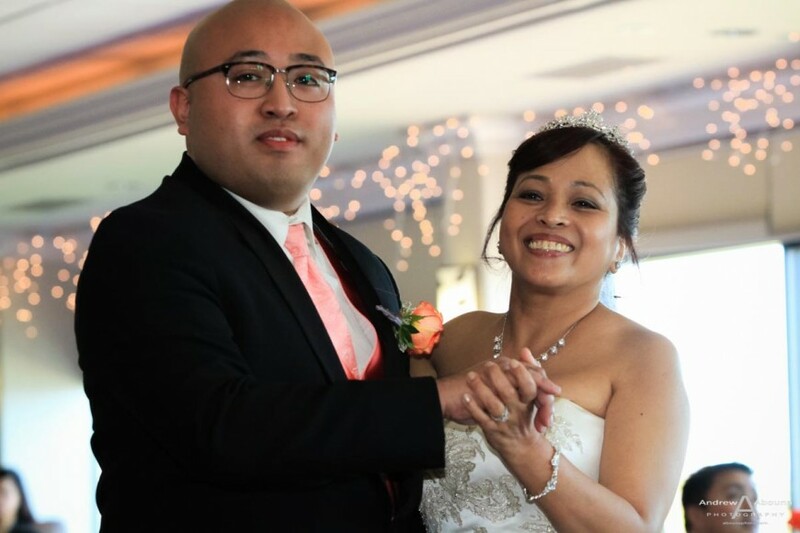 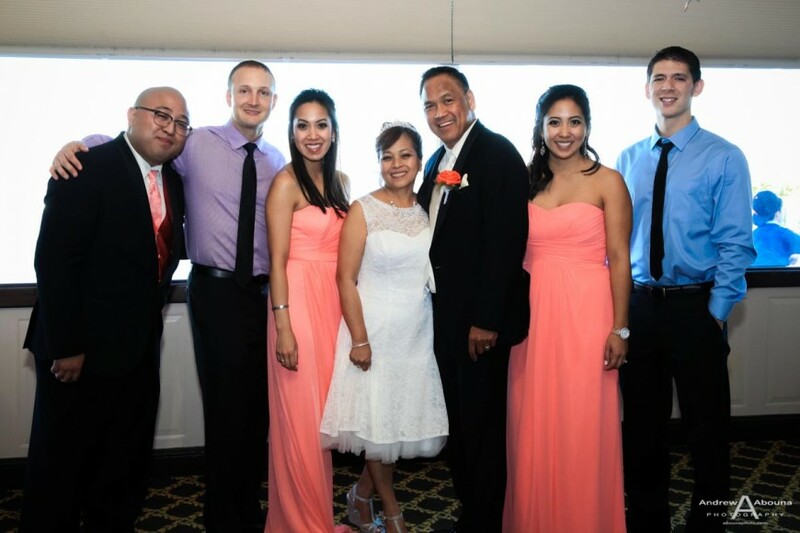 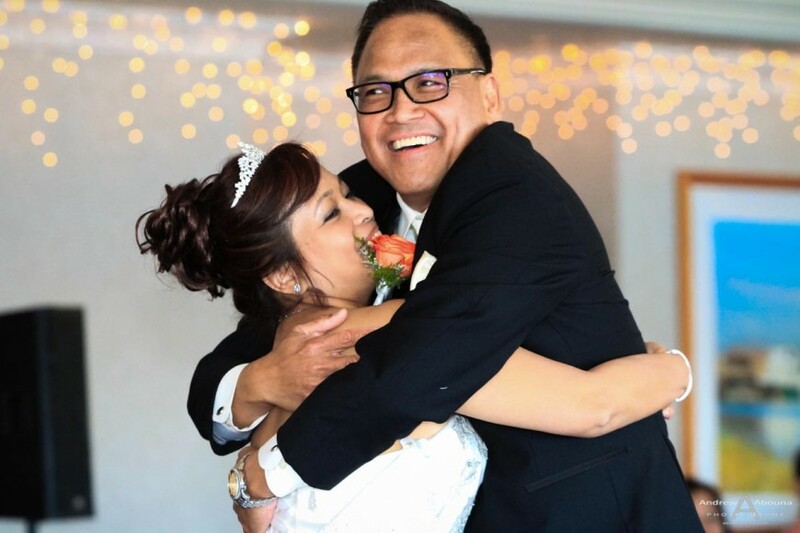 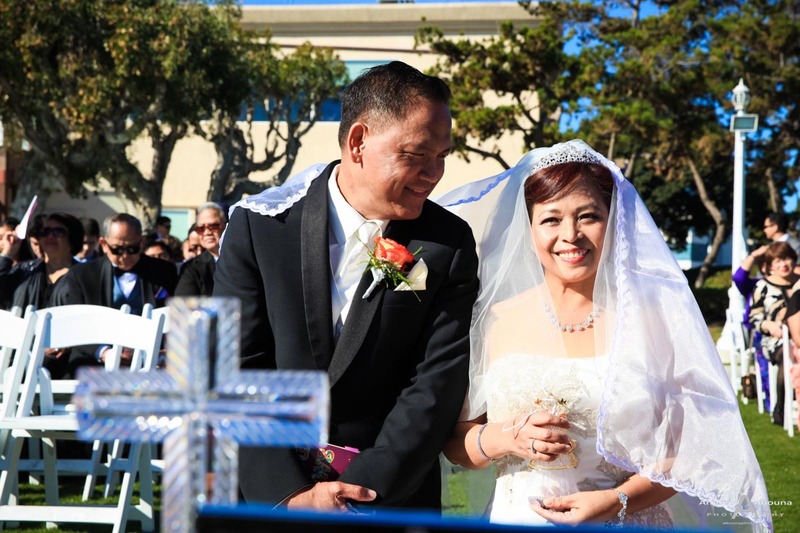 It included elements of a Filipino and Catholic wedding, several readings, and light hearted moments. 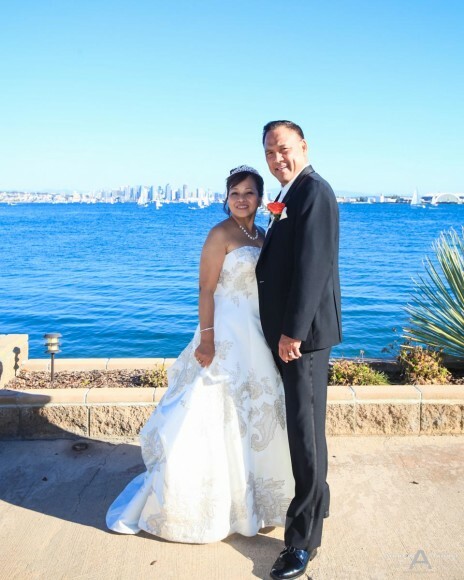 After photographing the wedding ceremony we created a nice mix of posed, portrait photos, all with the wonderful views of the San Diego Bay and skyline behind the couple. 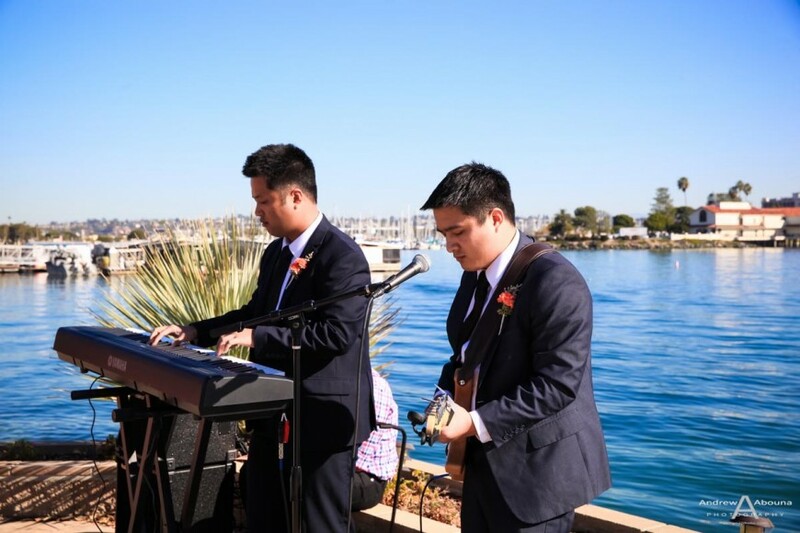 Next it was on to the couple’s wedding reception, and this proved again why Admiral Kidd is one of my favorite San Diego wedding venues. 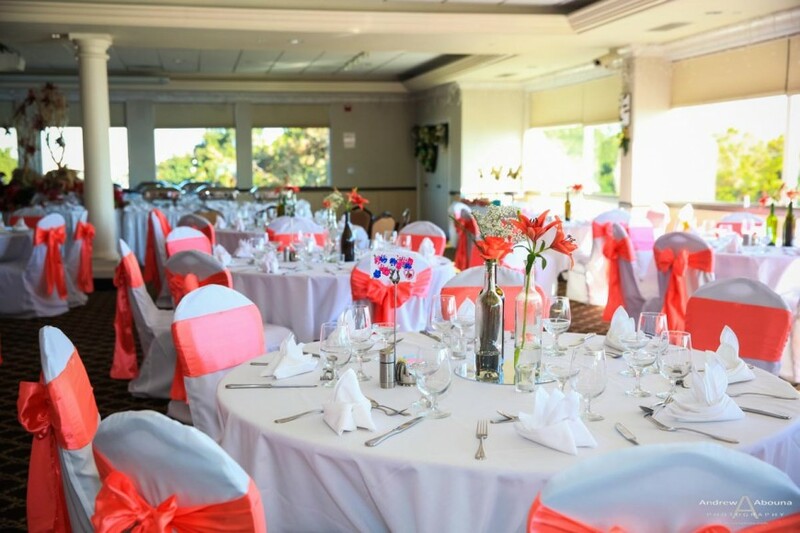 The staff and service at Admiral Kidd are wonderful, and they are great at all of the Navy Region Southwest wedding venues that I’ve also photographed at. 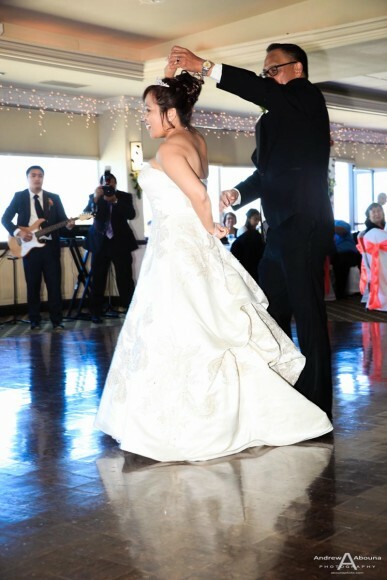 The couple’s wedding reception photography captured their grand entrance, blessing, dancing, toasts, bouquet toss, garter toss, money dance, dancing, cake cutting, and so many wonderful posed and candid photos that captured the essence of Nora and Sam’s very special celebration with their family and friends. 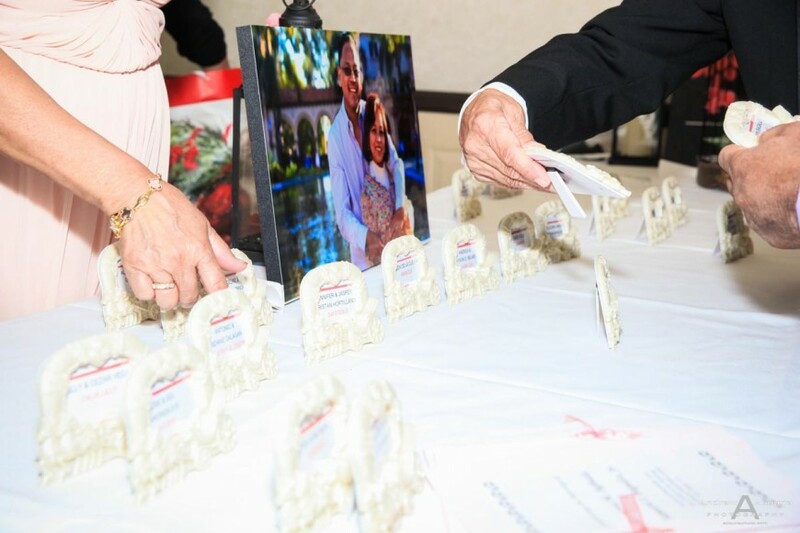 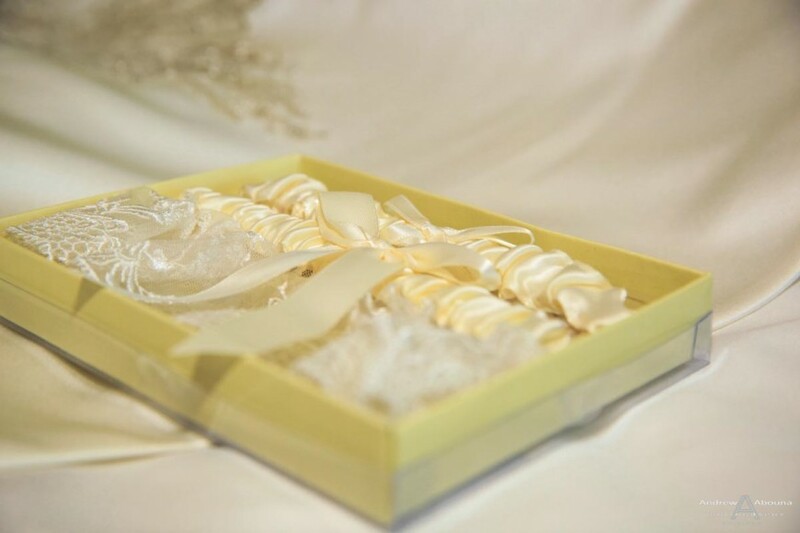 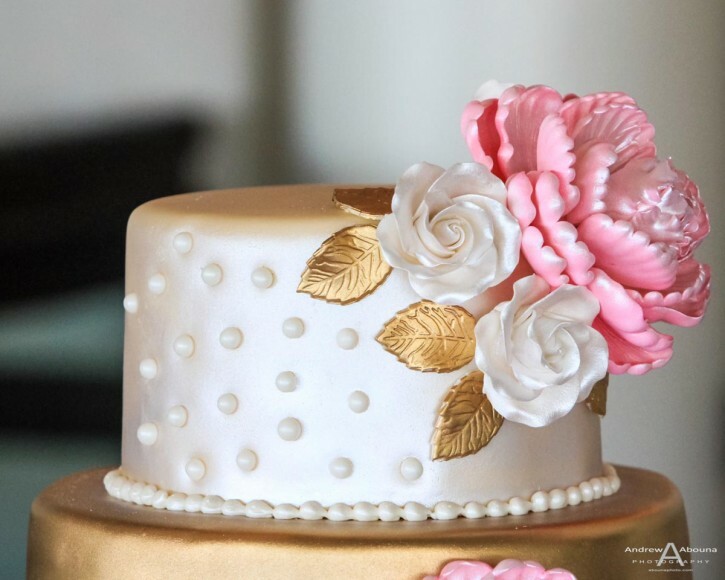 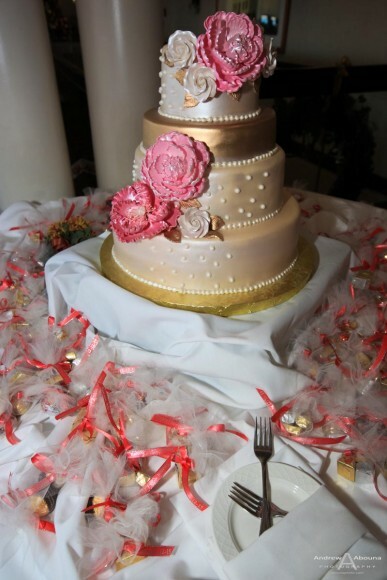 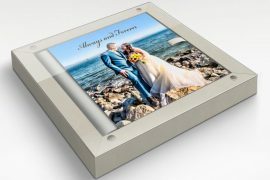 With so many great wedding photos created for the couple, the very best way for them to enjoy the photos is going to be in one of my beautiful, Italian-made wedding album. 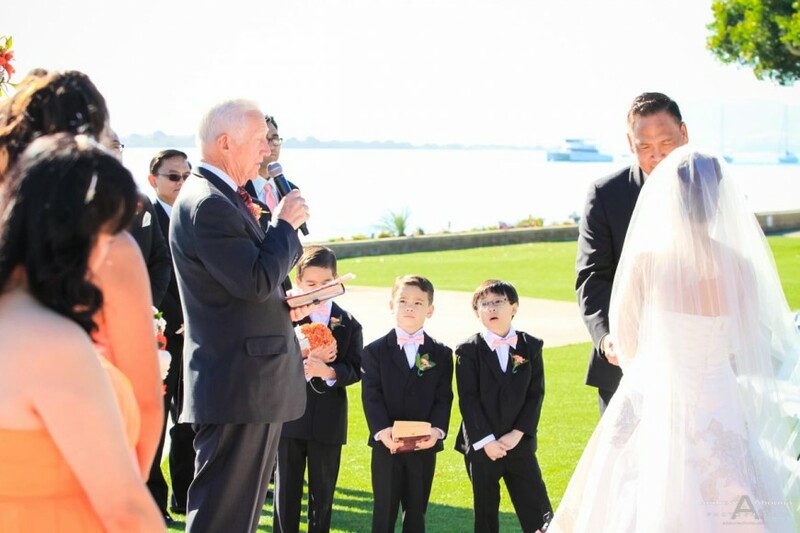 These albums excite the senses with each turn of the page, because seeing, sharing, and touching wedding photos is the best way to endlessly relive the moment. 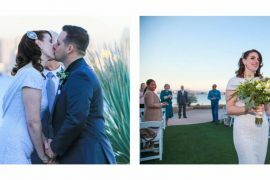 In addition to the accompanying collection of some of my favorite wedding photos in this article, you’re invited to see Nora and Sam’s complete collection of photos by visiting my San Diego Wedding Photographer Client Galleries (password required). 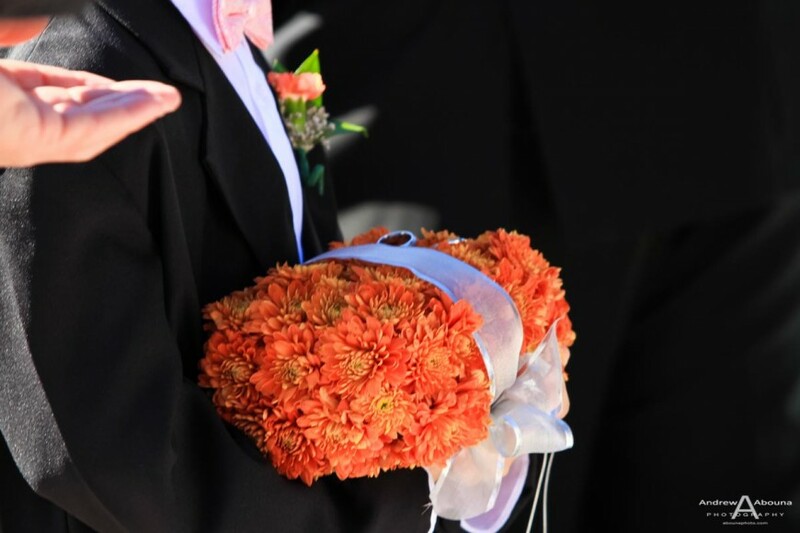 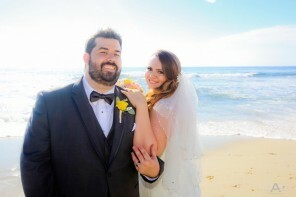 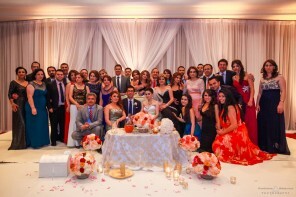 For more information about Carlsbad and San Diego Wedding Photography please contact me. 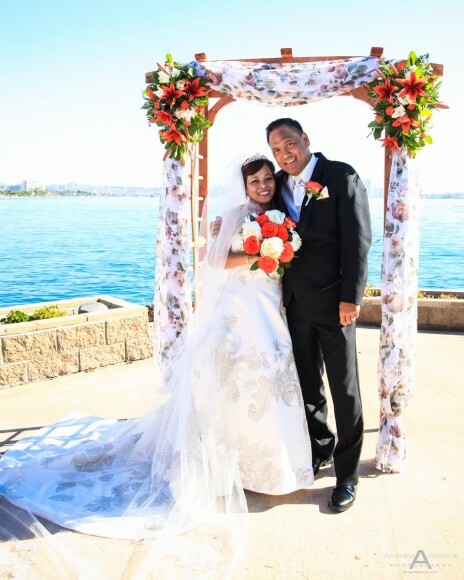 Fantastic view of the downtown skyline, the San Diego Bay wedding photography at Admiral Kidd made for the perfect backdrop to Nora and Sam's wedding.